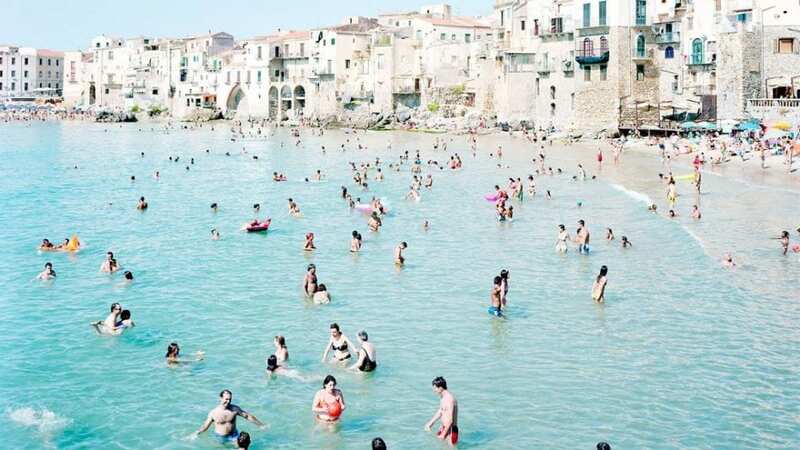 “Beaches are the perfect place to study mankind.” Massimo Vitali (b. 1944) is internationally recognised for large-scale images of beaches and mass leisure events. Awash with colour and a sense of optimism, the sweeping panoramic views capture people interacting with the environment. 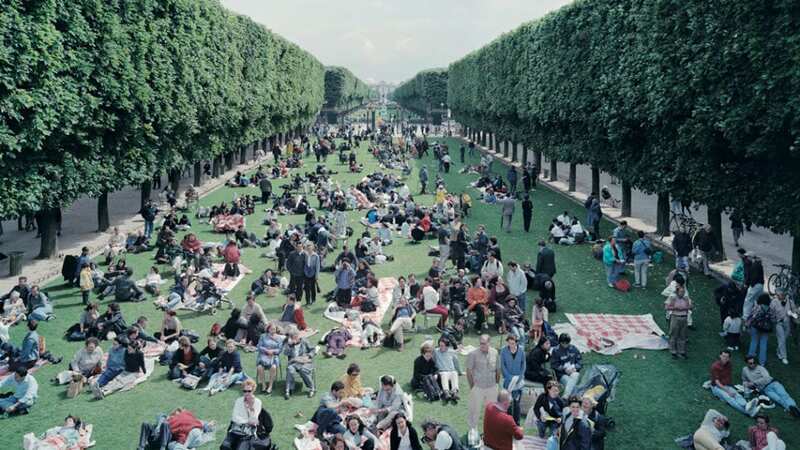 Massimo Vitali, Picnic Allée, 2000. Courtesy Mazzoleni London Torino. Short Stories is the new exhibition at Mazzoleni, London, reflecting twelve instances within Vitali’s distinguished career. “As the title implies, the collection is a number of images, each of which tells a story,” the artist reflects. “Each narrative belongs very much to a particular moment in the last 25 years. The photographs show how drastically we have changed.” Indeed, the works – which are collected in a book of the same name by Steidl Verlag – unfold in an evolving world, reflecting how individual and group activities have altered since the advent of the digital age. Massimo Vitali, Cefalù Orange Yellow Blue, 2008. Courtesy Mazzoleni London Torino. Vitali began working in the early 1960s as a photojournalist, moving into cinematograpy in the 1980s. By 1993, the practitioner was immersed in fine art practice, using large-format film cameras to capture the inner and exterior lives of people in Italy. Published in the likes of The New York Times Magazine, Time Magazine and The New Yorker, the artist remains deeply influenced by these genres. “Cinematography has given me the technical capabilities that I use every time I take a picture,” he notes. Now the practitioner moves into digital work. To mark this transition, Vitali is working on a new publication from Steidl titled Entering a New World, which includes a chronological selection of work from the last eight years. Massimo Vitali: Short Stories is open until 24 May. Find out more here. Lead image: Massimo Vitali, Carcavelos Pier, 2016. Courtesy Mazzoleni London Torino. Mary Corse is known for an interest in notions of perception and celebration of light’s limitless potential; offering a new visual language.